Among European travelers, more and more people are cruising. Of course, cruising is — in many ways — an anathema to the "back door travel" philosophy that I've been preaching for several decades. But I've learned it can be done thoughtfully and independently. 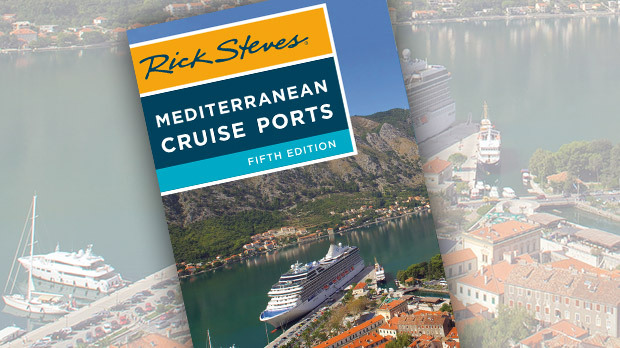 A few years ago I gave one of my cruise guidebooks, Rick Steves Mediterranean Cruise Ports, a shakedown cruise of its own. I sailed in the western Mediterranean on Royal Caribbean and in the eastern Mediterranean on Celebrity. I admit that I'd thought cruising was some kind of Vegas-on-the-Sea experience. Sure, there's hedonism, gambling, and folks who never seem to leave the ship. But I found that there's a good side to these massive ships as they keep a graceful rhythm at sea: sailing through the night, docking in major ports at dawn, and letting their passengers off to frolic on land until about 6 p.m. I watched carefully to see how the cruise industry makes its money. While the initial cost of a cruise vacation may seem too good to be true, operators earn their gravy with extra profit centers: mostly drinks, gambling, on-board shopping, kickbacks from shops on land, and excursion tours to places of interest within an easy bus ride from the port. I was struck by how most cruisers are happy to pay the inflated prices ($150–$200) for an excursion. But anyone willing to hop the shuttle bus to the main square of the port town and survey the options for local sightseeing tours could easily plan his or her own day trip — and save around 50 percent. In most ports, I found a very healthy and efficient "find a need and fill it" energy for whatever cruise travelers might want: Internet access, taxi service, hats to provide shade, electric car or bike rentals, and small tour operators. But I also discovered a major downside to cruising: limited time in each port. Still, you can accomplish a lot in eight hours. Because there are so few ports where cruises can start or finish, there are almost always days at sea. While it was hard for me to relax on the ship when we were in port, I loved a day at sea. I was continuously inspired by the simple vastness of the Mediterranean, and how we could spend an entire day and see no land and almost no boats. There's a clean, dramatic, screen-saver beauty to a two-tone-blue world of sea and sky. 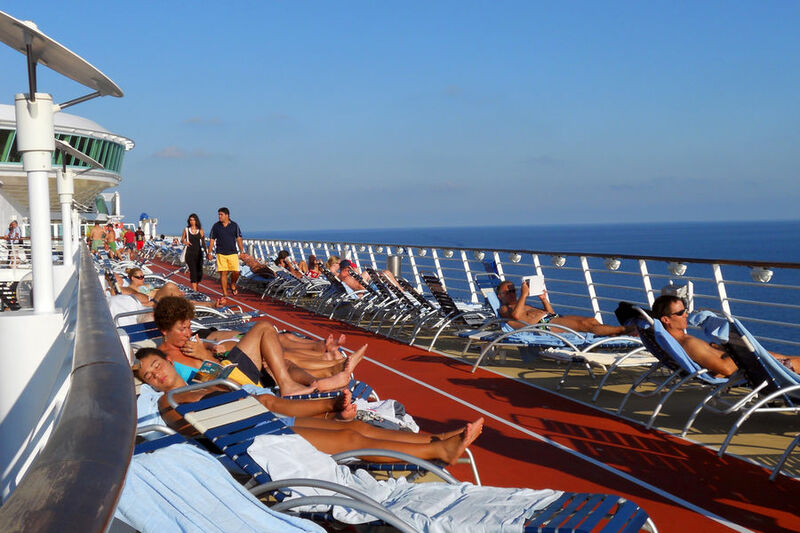 Even relaxing on the ship is not always easy; there are always people to meet — and people to avoid — massive amounts of food to eat, and more than enough entertainment scheduled. An important skill for cruising is to pace yourself and not try to do everything. On board, I took every chance possible to get behind the scenes. The typical cruise ship is an amazing machine — a nearly billion-dollar investment that is impressively automated. I listened to the crew explain how the heat of the engines distills 25,000 gallons of salt water into fresh water every hour, and how the newfangled Azipods (with 18-foot-wide propellers turning a hundred times a minute) propel the ship without a standard shaft. 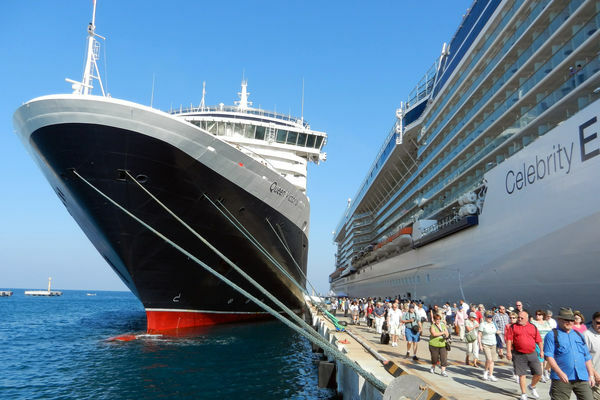 With 3,000 passengers, I had expected congestion and waiting in line to be a daily part of the cruise routine. But even though our ship was sold out, I never noticed congestion. Both on board the ship and on shore, if you make a point to get away from the mobs, you can. I enjoyed being all alone on the bow of the ship at night under the moon. After dinner, the top deck was all mine. A few ports (like Dubrovnik) can be inundated by cruisers when several ships are in port at the same time. Everyone seems to do about the same things at roughly the same time. But in each of the ports on my cruises, I could be on my own — without a hint of the cruise industry — within an hour of finishing my on-board breakfast buffet. So can independent travelers enjoy cruising? For some, my answer is yes. 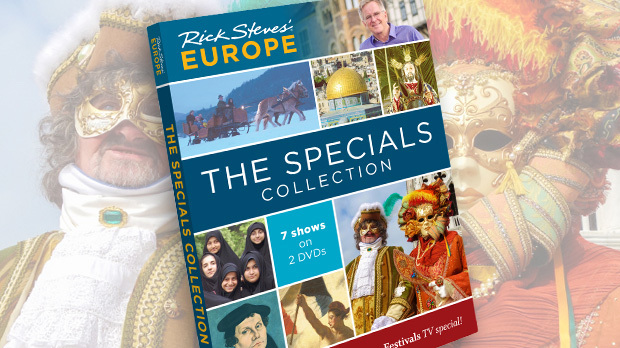 But independent types who take cruises need to prepare themselves with the information necessary to enjoy the best of both worlds — the economy, ease, and glorious hedonism of cruising with the joy and challenge of dipping into the cultural wonders of Europe on your own. I'm actually neither pro- nor anti-cruising, any more than I'm for or against eating Thai food. I'm just doing my best to keep an open mind, not be "elitist" as an independent traveler, and share what I've learned: Cruising is an option that works for a lot of people.